In the decades since Enrico Fermi first posed the question that encapsulates this paradox ("Where is everybody? "), scientists have attempted to explain this disparity one way or another. But in a new study conducted by three famed scholars from the Future of Humanity Institute (FHI) at Oxford University, the paradox is reevaluated in such a way that it makes it seem likely that humanity is alone in the observable universe. The study, titled "Dissolving the Fermi Paradox", recently appeared online. The study was jointly-conducted by Anders Sanberg, a Research Fellow at the Future of Humanity Institute and a Martin Senior Fellow at Oxford University; Eric Drexler, the famed engineer who popularized the concept of nanotechnology; and Tod Ord, the famous Australian moral philosopher at Oxford University. Dr. Sanderg is no stranger to the Fermi Paradox, nor is he shy about attempting to resolve it. In a previous study, titled "That is not dead which can eternal lie: the aestivation hypothesis for resolving Fermi's paradox", Sanberg and his associates proposed that the Fermi Paradox arises from the fact that ETIs are not dead, but currently in a state of hibernation – what they called "aestivation" – and awaiting better conditions in the universe. "One can answer [the Fermi Paradox] by saying intelligence is very rare, but then it needs to be tremendously rare. Another possibility is that intelligence doesn't last very long, but it is enough that one civilization survives for it to become visible. Attempts at explaining it by having all intelligences acting in the same way (staying quiet, avoiding contact with us, transcending) fail since they require every individual belonging to every society in every civilization to behave in the same way, the strongest sociological claim ever. Claiming long-range settlement or communication are impossible requires assuming a surprisingly low technology ceiling. Whatever the answer is, it more or less has to be strange." "Many parameters are very uncertain given current knowledge. While we have learned a lot more about the astrophysical ones since Drake and Sagan in the 1960s, we are still very uncertain about the probability of life and intelligence. When people discuss the equation it is not uncommon to hear them say something like: "this parameter is uncertain, but let's make a guess and remember that it is a guess", finally reaching a result that they admit is based on guesses. But this result will be stated as single number, and that anchors us to an apparently exact estimate – when it should have a proper uncertainty range. 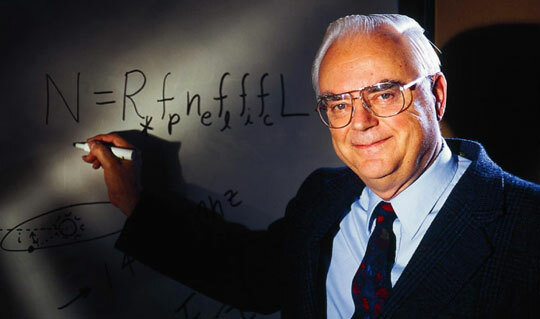 This often leads to overconfidence, and worse, the Drake equation is very sensitive to bias: if you are hopeful a small nudge upwards in several uncertain estimates will give a hopeful result, and if you are a pessimist you can easily get a low result." As such, Sanberg, Drexler and Ord looked at the equation's parameters as uncertainty ranges. Instead of focusing on what value they might have, they looked at what the largest and smallest values they could have based on current knowledge. Whereas some values have become well constrained – such as the number of planets in our galaxy based on exoplanet studies and the number that exist within a star's habitable zone – others remain far more uncertain. "We found that even using the guesstimates in the literature (we took them and randomly combined the parameter estimates) one can have a situation where the mean number of civilizations in the galaxy might be fairly high – say a hundred – and yet the probability that we are alone in the galaxy is 30%! The reason is that there is a very skew distribution of likelihood. In the end, the team's conclusions do not mean that humanity is alone in the universe, or that the odds of finding evidence of extra-terrestrial civilizations (both past and present) is unlikely. 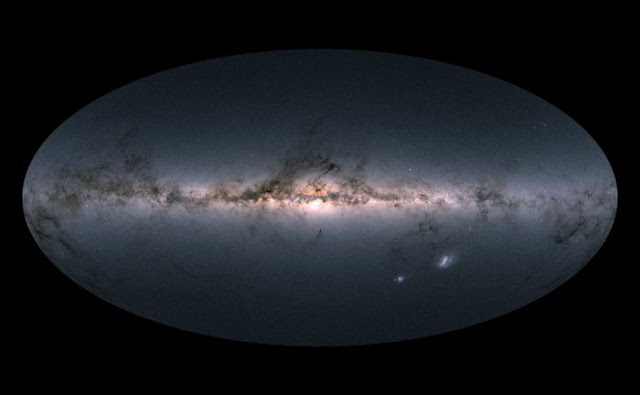 Instead, it simply means that we can say with greater confidence – based on what we know – that humanity is most likely the only intelligent species in the Milky Way Galaxy at present. 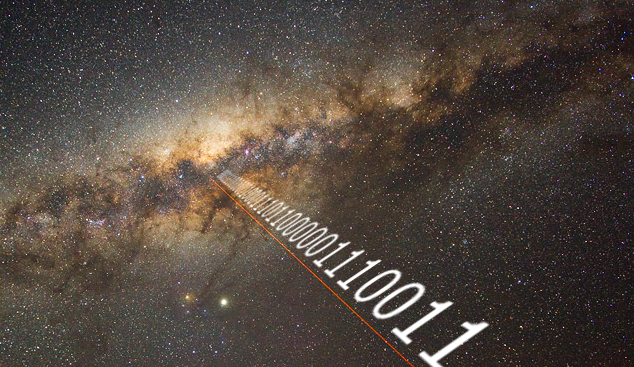 "What we are not showing is that SETI is pointless – quite the opposite!" said Dr. Sanberg. "There is a tremendous level of uncertainty to reduce. The paper shows that astrobiology and SETI can play a big role in reducing the uncertainty about some of the parameters. Even terrestrial biology may give us important information about the probability of life emerging and the conditions leading to intelligence. Finally, one important conclusion we find is that lack of observed intelligence does not strongly make us conclude that intelligence doesn't last long: the stars are not foretelling our doom!" I'm afraid this won't wash. Where are all the aliens? They've already been here and left! All this is, is a model and nothing more. Based on the preponderance of different species here on Earth, the safest assumption of all is that life is just as common and just as diverse elsewhere. And forget about the Drake equation and the Fermi paradox, the big gaping problem with both of them is that neither acknowledges even the slightest possibility that we're being visited by intelligent life forms now and may have been in the past as well. The government has studied UFOs extensively, they've said they're real and not a threat, they've captured them on radar and on video, the one thing they haven't done is disclose everything they know about the subject, ostensibly to protect us, religions, etc. from panicking even though most of the planet loves sci fi and is quite comfortable with the concept of real alien life. The reason appears to be obvious, their power resides in the belief that they control our airspace, they can't possibly admit that they don't, that advanced ships can evade radar, cloak, and easily outperform everything we have in the sky. In short, they fear what they can't control. Strategically speaking, the next best thing is to pretend that they're in control, turn the subject of UFOs into kook territory, which they've done successfully. One would have to land on live TV before "respectable" scientists would acknowledge their existence. And that's why these formulaic predictions don't work, they're missing a key part of the equation. What about the tictac observed by Nimitz. What could that be? What do they make of the revelations of Colonel Philip Corso in his book "The Day After Roswell"? Is he merely telling stories, lying, or hallucinating, according to these authors?